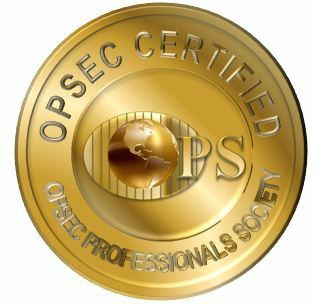 One of the key benefits of the OPSEC Professionals Society is the opportunity to earn the professional standing as either an OPSEC Certified Professional (OCP) or an OPSEC Associate Professional (OAP). The authority to use the OCP or the OAP proficiency designator after your name provides colleagues and employers with information about your level of proficiency in our profession. Do you want to become an OCP? Do you have at least five years of OPSEC experience (at least two years direct)? Do you have four years of college credits or additional OPSEC experience to substitute for credits? Do you have at least 48 hours of formal OPSEC training? Have you submitted a ten-page paper that conforms to the PSC guidelines? NOTE: In regard to OCP approval/disapproval, the decision of the Professional Standards Committee (PSC) is final. In cases of a rejected application and/or paper, the applicant may, with PSC approval, resubmit a second application/paper without an additional fee. Third and subsequent attempts will require 1) a new application, 2) a new paper (with a new topic), and 3) a new fee. Is your OCP certification expired? Is it less than twelve (12) months? Is it expired twelve (12) months or more? Do you want to become a Lifetime OCP? Have you been an OCP for six years (original certification plus two consecutive re-certifications)? Do you want to become an OAP? Are you a regular member of OPS in good standing? Do you have at least three years of OPSEC experience (at least one year of direct)? Do you have at least 20 hours of OPSEC training? Do you want to participate in the OPSEC Certified Professional (OCP) Mentor Program? Applicants for OPSEC Certified Professional (OCP) and OPSEC Associate Professional (OAP) are advised that such certification does not warrant that the OPSEC Professionals Society (OPS) guarantees their performance in any way in the execution of any activities or duties assigned or assumed. The OPS evaluates qualifications for the OCP and the OAP designation based on submissions made by the applicant and awardees of such designation, their clients, employers or other parties must not construe such designation as providing any guarantee by OPS whatsoever. On the basis of award of OCP/OAP the OPS shall not be liable or held to be liable to any party for any incidental, consequential, special or punitive damages of any kind or nature including without limitation the breach of any agreement or any termination of an agreement, even when such liability is asserted on the basis of contract, tort or otherwise and even if parties have been warned or warned about the possibility of any such loss or damage.